TN HSE +2 result 2019: All those students who had appeared for the exam can check their results on the official website — tnresults.nic.in, dge.tn.nic.in, and dge.tn.gov.in. 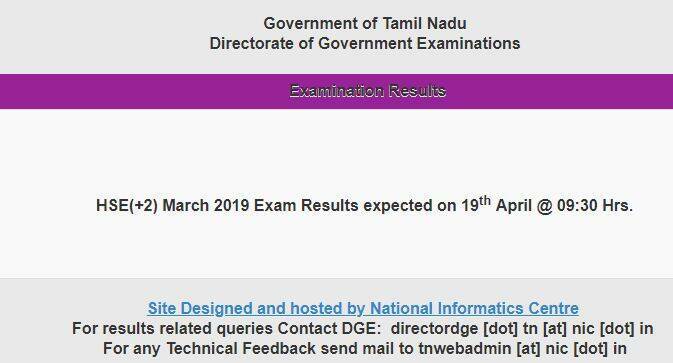 TN HSE result 2019: The Directorate of Government Exams (DGE), Tamil Nadu has released the result of Higher Secondary Examination (HSE) which is equivalent to class 12 on April 19, 2019. In an official notice, the Tamil Nadu Board has also said that it will declare +2 result at 9:30 am on Friday. All those students who had appeared for the exam can check their results on the official website — tnresults.nic.in, dge.tn.nic.in and dge.tn.gov.in. This year’s pass percentage is 91.3 per cent. The girls have outshone boys again scoring 93.64 per cent while boys are at 88.57 per cent. Among districts, Thirupur is at 95.37 per cent, Erode at 95.23 per cent and Perambalur is at 95.15 per cent. In 2018, the overall pass percentage for plus two or HSE exam of Tamil Nadu board was 91.1 per cent. Girls outperformed boys by registering 94.1 per cent while boys have scored 87.7 per cent. Every year, over 8 lakh candidates appear for the exam. About 4.60 lakh girls will be taking the exams as against 4.01 lakh boys. A total of 4.43 lakh students appeared for the first year examinations, of them, 3.86 lakh are regular students. Among these were 2,00,073 girls and 1,85,978 boys. Of the 57,195 open school students, as many as 36,216 are boys. Among districts, the maximum number of regular candidates is from Malappuram – 58,465. As many as 490 students to appear for the examinations from the Gulf centres, 1,014 from Lakshadweep, and 709 from Mahe. 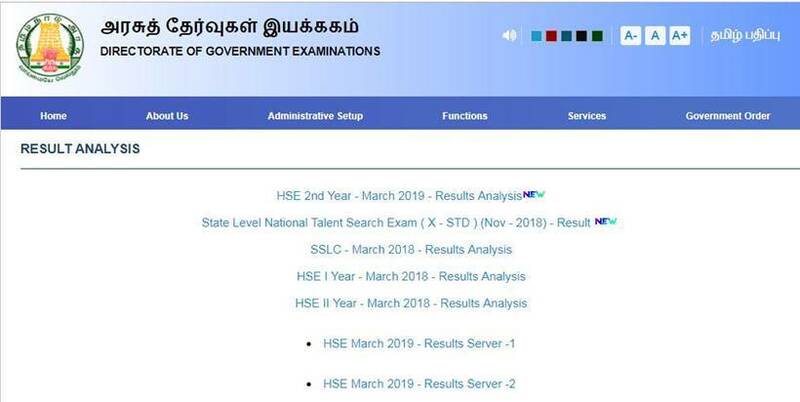 TN HSE result 2019: Result updates available at tnresults.nic.inLast year, 8,60,434 candidates had attempted the exam. Candidates can download the result and take a print out for future reference. Last year, among the districts that fared well, Virudhunagar topped the list, followed by Erode and Tirupur.